Every business has particular business needs. Most need flexibility and all need reliability, especially in a multifunction printer, so any need can be met at a moment's notice. This color printer from Hewlett-Packard offers a range of flexible and easy-to-use options that are ideal for an organization that produces high-volume color documents. 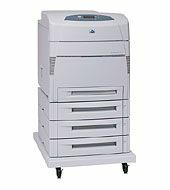 It offers HP Jetdirect networking, automatic two-sided printing, two additional 500-sheet input trays and a 20 GB hard drive. This is an MFP that can be counted on for a range of printing jobs, such as spreadsheets, newsletters or brochures in 11x17 document size. The color printer produces brilliant print quality on a variety of paper types and sizes. No need to send marketing materials to the professional print shop. Workgroups can produce high-quality, smooth and sharp color or black-and-white documents on-site with HP print cartridges and ImageREt3600 technology. Print-shop-quality documents need not take a long time to print. 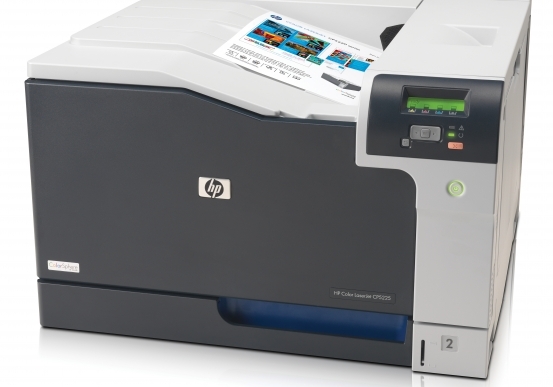 This MFP offers print speeds up to 28 pages per minute (ppm) with a 15-second first page out. It also offers a 533 MHz processor and up to 288 MB RAM. For more than three decades, Pacific Office Automation has worked with clients to find the best printer for their unique business needs. Our award-winning sales, customer service and support team work 24/7 to ensure our clients improve workflow and save money.